The Coming Church will look nothing like the church we know today. Here are some of the significant changes on the horizon. Over the last 22+ years of ministry, one of the most difficult challenges I’ve faced has been effectively communicating just what changes are coming to the church. The current church paradigm is so prevalent and saturating in our culture that people just can’t seem to wrap their minds around the shift that is coming. It seems nonsensical, threatening or just plain bizarre. They wonder how their ministry stream or focus or gift fits in that structure. The reality is that it may not, or it may be radically redefined. The discomfort level will be quite high, and it will take a radical remnant to truly sign up for the reformation—for the revolution of the church. Acts 1:6 So when they had come together, they asked him, “Lord, jwill you at this time krestore the kingdom to Israel?” 7 He said to them, l“It is not for you to know mtimes or seasons that the Father has fixed by his own authority. 8 But you will receive npower owhen the Holy Spirit has come upon you, and pyou will be qmy witnesses in Jerusalem and in all Judea and rSamaria, and sto the end of the earth.” 9 And when he had said these things, as they were looking on, the was lifted up, and ua cloud took him out of their sight. This book that I’m currently writing will be addressing some of the spiritual and practical changes that will be coming to the structure and expression of the church. Trust me, it will shock our nation severely. Those who hold on to a structure or a ministry instead of Jesus himself will not be willing to go where God is leading. RELATED ARTICLE: Our Christian Experience is About to Shift—and Ignite! I call this the ancient and emerging church. Ancient because it’s rooted in scripture, emerging because the biblical structure has been largely forsaken. Services will become more like prayer meetings. One of the greatest indictments on the church today is that prayer is not the driving force. Today, people tend to choose churches based on the appeal of the teaching and the worship instead of the fervency of prayer. If the church was a house of teaching, or a house of worship, that would make sense, but it’s not. The church is a house of prayer for all nations. Every person in the church will function as a burning intercessor and the services will be marked by this unified groan of fiery prayer. Personal need will give way to personal mission. Today, churches are often more like organic, socially driven hospitals. People tend to use the church as a way to meet their personal needs instead of serving it as a minister of God. This is going to change. Of course, there will still be personal ministry and true needs will be addressed. However, instead of the church functioning as a hospital, it will once again function as a mission-driven military. The mission will take precedence. The saints will be equipped for service, not for personal survival. In this ancient and emerging model, their will be MASH units that will take very good care of the wounded with the primary purpose of getting the soldier back into battle. Apostles will again lead with governmental authority and pastors will be seen as the main leader less and less as they focus more on shepherding and less on primary leadership. Teaching will be minimized while instruction is emphasized. Teaching is mostly for personal edification while instruction is mostly for corporate assignments. Today, most churches focus on teaching principles of scripture, providing truths that will help Believers navigate through their lives and giving nuggets of biblical info. While there will still be important Bible teaching, apostolic instruction will emerge as a necessary new ministry. There is enough Bible teaching online, on CD’s, in books and on video to turn every one of us into personal spiritual giants. We need to take it upon ourselves to grow. What is lacking, however, is apostolic leaders, military commanders, who give instruction, assignments, to a ready army. Teaching is personal growth based while instruction is a call to corporate action for the sake of mission fulfillment. An example of apostolic instruction is this: The apostolic leader gives a corporate assignment for everybody in the church to fast for a week and then show up together to prayer walk through the city streets. 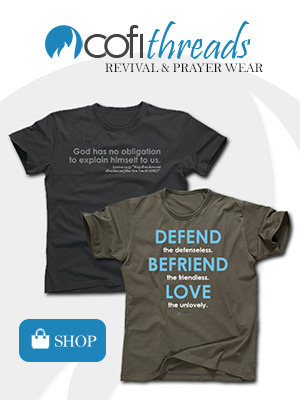 It’s a corporate call to action vs. biblical study. It’s mission focused vs. personal growth focused. Personal growth will be largely our responsibility between services so we can be ready to respond to the corporate instruction where we will receive our assignments. We will gather together most days of the week. The 24/7 church will again emerge as the church drives culture instead of reacting to culture. Cares of life will lose their power as we simplify our lives and put corporate prayer and mission ahead of most everything else. This may be the most challenging change for Christians. Today, Sundays are the days to set aside for corporate worship while we give precedence to our ‘normal lives’. In The Coming Church, the very reason we live will be to pray on fire together every day, receive apostolic assignments and then move out into our lives as Kingdom ambassadors. It wouldn’t be surprising if a tithe of our time is what became the standard. Two to three hours a day, whether it’s in the morning, afternoon or evening, or even in the late night hours, will be given by every Believer to praying on site together with others, ministering, and giving ourselves to intercession fueled Kingdom ministry. Of course, much of what we have been giving ourselves to will have to be eliminated so we have the time necessary to devote. Worship will be supernaturally driven. There is a new sound coming to worship, and it’s not simply a new style. There is a supernatural, otherworldly groan of intercessory worship that will explode out of the entire body as a new breed of trembling worship leaders lead the way into the shock and awe of the glory of God. We will no longer simply sit in a pew or stand with a raised hand while a familiar worship song is sung. The prophetic, groaning sounds of Holy Spirit facilitated worship will make it normal to shake and fall to our faces as we cry Holy! The natural, logical sing-a-longs will be no more. We will have a hard time standing as God’s Shekinah and Kabod glory resides in his church. Worship teams will practice less and pray in the Spirit with tears in their eyes more. 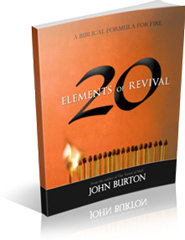 I strongly recommend that you read my book 20 Element of Revival. That book reveals much of the shift that we must embrace right now. If you truly take in all that it has to say, you’ll never participate in the church the same way again.